ASAP is a plastic manufacturing company, established on Queensland's Sunshine Coast since 1982. Our dedicated team specialise in plastic fabrication, vacuum forming and moulding, CNC router work including computer-aided design, and much more. We also specialise in stainless steel, aluminium, and timber CNC routing. If you can imagine it, there is a fair chance that we can create it. We serve you As Soon As Possible from All Sheets And Plastics. Creating everything from house numbers or professional illuminated signs and custom designed retail display stands, through to large-scale industrial filtration systems and marine engineering supplies, the ASAP Plastics team bring more than 40 years collective experience to the job. No job too small and no job too large. Our clients range from interior designers, shop fitters and sign writers, through to local government organisations and walk-in trade for cut-to-size and fabrication jobs. Diversity is the name of the game. Uniquely, all past generations of owners remain actively involved in the ASAP business, and our customer dedication puts us miles ahead of our competitors. 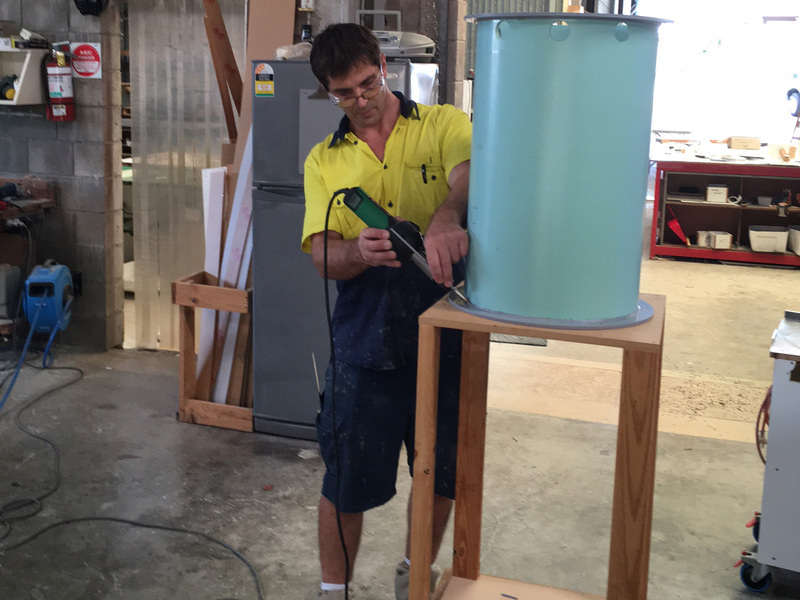 We perform all design, engineering and manufacturing on-site at our purpose-built 800-square-metre factory in Moffat Beach, shipping custom fabricated parts Australia-wide. We pride ourselves in having a big ear and an open mind! give us a call and we'll look after you... ASAP. Neil started Protective Plastics in 1982. His expertise is plastic fabrication – but he is also a great all-rounder after almost 30 years within the plastics industry. Neil is also a successful local swim coach. Neil is a great source of knowledge for all of us at ASAP Plastics. Peter bought Protective Plastics from Neil in 1987 and grew it into a large and successful national business. Peter sold Protective Plastics in 1995 and kept the general plastics arm of the company which he named ASAP Plastics. Peter is a great all-rounder in plastics manufacturing, thermoforming and fabrication, with enormous expertise in design, autocad and CNC Routing. Udo bought ASAP Plastics in 2006. Originally hailing from Germany, Udo has spent a lifetime working and raising a family in Australia. He has a strong background in engineering, but has also worked in fields as diverse as running a windsurfing school at Coffs Harbour and teaching at TAFE, Mt Gravatt. Later, with a Masters in Management from University of Sydney under his belt, Udo was Recruitment and Training Manager with a large Sydney manufacturing company before making the seachange with partner Siobhan to Queensland's Sunshine Coast. George and Paul are the new owners of ASAP Plastics.